I do not know java , i do not know c # yet x2robbie2x has helped me with his tuts create a mod i have been atempting for 2.5 months... GO CHECK HIS CHANNEL OUT! And also would i include that in the same mod_<modnamehere> class? 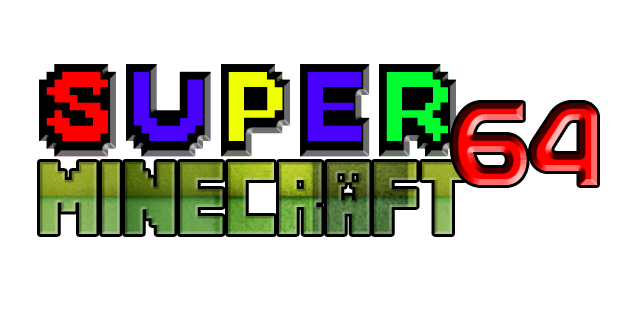 I just found Minecraft and am a new user and then found out that I could add mods to it! Looking around the Internet I could only find Tutorials that used MCP ~2.0 and nothing seemed to work. Your tutorials are working perfectly! No compile errors (expect for my screw ups). One thing I noticed about your texture explanations is that you are always going to jars/bin or the actual jar file to put/get the images. If you put your images in your own folder and place that folder in the C:\MCP\bin\minecraft folder, when you reobfuscate; all your images will be in that folder and you can drop them in with your .class files to your minecraft.jar file when you are ready to use it. Also when you use the startclient.bat(sh) file the images are already available for use. Also - thanks for the source download link! I've been having a heck of a time going back and forth with the tutorial video's and Eclipse to type crap in! Thanks! Yeah I will be doing a video on further mod organization soon, where all the images will go into one folder, but then all the addOverride methods have to be changed into that folder. I will add additional uses to items on my to-do list. I'm not home right now so I don't have my eclipse but once I come home I'll check this out, I never spawned anything in the nether yet. Also how would i make a tool/item when right clicked, it would change the block you are looking at into another block? And the same thing again but instead of block changing, mob spawning? Hey x2Robbie2x. I just wanted to say thanks a lot for posting these videos. They are really helpful and it is nice to have a post that is clear and concise. I am working on some modding and I was having a hard time trying to code my own kind of gui, like a chest or a furnace. Something where a menu appears when you click on a block that gives you different options. Do you mind posting a video on that?? Thanks. I was also wondering would you be able to make a tutorial on custom chests/furnaces/workbenches, also on how to make a block like ice, that when surrounded by a certain light level or dependent on the biome, will either switch to a liquid form or to a solid state(would be great if you included a liquid tutorial!). Oh and diamonds for you! Yeah, I forgot to mention that little bit, but it's not difficult with a little "Find and Replace"-ing. IMO it keeps the minecraft.jar file clean and you can separate your files from other peoples files (if you use them). Can't wait for your tutorial on that! The NPC tutorial is coming out this weekend though. I am looking into Mob Spawning on item use, but I don't think I can do it with a block. I don't know which method figures out what the user is pointing at. I need to create a "machine" for my own mod, so once I figure it out I will be doing a tutorial on this. Could you do a tutorial on creating a dimension?? I am trying to make one and i don't really know what i am doing. I never thought of doing this, I imagine it would be pretty complicated because you have to generate EVERYTHING from scratch. I don't think I'll be doing this, but it's going on my TO-DO list if I ever find out how to do it. Just to say, I'm not a "professional" Minecraft Modder, so don't expect me to know everything, I might take some time to figure things out. Ok, Thanks in massive quantities! I was also wondering would you be able to make a tutorial on custom chests/furnaces/workbenches, also on how to make a block like ice, that when surrounded by a certain light level or dependent on the biome, will either switch to a liquid form or to a solid state(would be great if you included a liquid tutorial!). And how would i go about adding in another ore gen? Simply add this code right under the other one. Change the numbers and block object and what not, should work. Sweet!!!!! Thanks a bunch man!!!!! Also how would i make it so that it would spawn above a certain height? And next to certain things above that height? Base = 50, and then it picks a random number from 0-20 to add to 50 in which the ore spawns. Thanks, would this make it so that it spawned in the air though? because i don't really want that. No, the method doesn't allow them to spawn in mid air. Usually they don't even spawn as the first layer, usually can be found under grass even if you set the top Ycoordinate to be higher than the grass. Ok sweet thanks alot man!!!!!!!!!!!!!!!! Me again, just wondering how would i go about making it so that when i use an item in a crafting recipe, it dosn't consume it? Like the philosophers stone in equivalent exchange. This makes it so whenever the stack size of a milk bucket goes under 1, like it would in a crafting recipe, it returns a normal bucket. So plop that code in whichever item you don't want to consume, and just return the same exact item.